About 15 years ago I went into HMV and looked through their new Americana section and I was surprised when I saw Billy Bragg as a featured artist. Should an Englishman be alongside Guy Clark, John Prine and Lucinda Williams? Nowadays, several Brits are regarded as Americana, despite its name, but I am sure that Billy Bragg was the first and it came down to the fact that he had made an album of Woody Guthrie material with Wilco, Mermaid Avenue. He has maintained his passion for Woody Guthrie, and Woody and Leadbelly are the prime inspirations for Shine A Light, a superb album of songs about the ‘railroad’ (as the Americans call it). He is partnered by Joe Henry and I reviewed the album in August’s CMP. I gave the album four stars and I would have nudged it to five if I had seen the packaging beforehand. The CD booklet is full of information and colourful illustrations, totally in keeping with its historic feel. I’ve met Billy a few times but I had not seen Joe Henry before. I regarded him as a T Bone Burnett figure. Sure, he has his own career and releases solo albums but much of his time, he is working with other artists, writing songs and producing albums. He is Madonna’s brother-in-law and his songs include her 2000 hit, Don’t Tell Me. His production credits include Solomon Burke, Elvis Costello, Loudon Wainwright, Rodney Crowell, Hugh Laurie and Bonnie Raitt. He produced Billy Bragg’s previous album, Tooth & Nail, in 2013. One of the tracks, Handyman Blues, can be seen on YouTube with Billy and a host of familiar comedians looking lost in B&Q. As I boarded a train in Liverpool, a long banner proclaimed, “Virgin Trains – Bound For Glory”. I hope not, I thought – I’m only going to London for an interview, but it was a good omen and an example as to how the title of Woody’s book has passed into the vernacular. 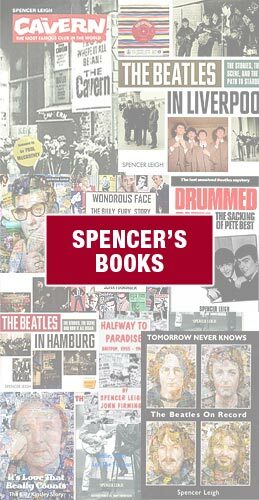 Spencer Leigh: How do you know each other? Joe Henry: We’ve known each other for over 25 years. I had been aware of Bill as an artist and been an admirer but when I was first married, my wife was a publicist for Warners in New York and was doing international press for Elektra. I was meeting her at the end of her working day to go out to dinner and I walked into her office and there was Billy. CDs were a fairly new phenomenon and she had procured for him the entire Van Morrison catalogue and we sat and talked about Astral Weeks. BillyBragg: Those were happy days – go to the record company and get free records! Did you ever try to sound like Van Morrison. Billy: Sadly, no. In my dreams. But you’re singing much better these days. Have you had some lessons? Billy: No, I think I started from a very low starting point (laughs) My voice has dropped in the last ten years, that’s the weird thing, and Joe who produced my last album in 2012 noticed this and encouraged me to tune my guitar down a whole tone. So when we made this album, I have tended to take the low parts and Joe has taken the middling parts and I am getting into this. I’m quite into my new voice. I am singing lower and with a slight American accent because it is Americana. I have got a bit more control over my voice too. So given a few more years, you’ll sound like Kris Kristofferson. Billy: Oh, that’d be nice. I wouldn’t mind that at all. That’d be fab. Joe: I’d settle for that too! I have worked with a lot of so-called legacy artists as a producer, some heroically great singers, and I’ve found that nobody stays the same. They either fall apart completely or they go deeper, not just tonally deeper but deeper into their artistry as singers with more overtone, more gravitas and more nuance. For instance, I produced a big chunk of Bonnie Raitt’s last record, Dig In Deep, and she has lost none of her power or authority, but there is so much more smoke and mystery in her voice now. One of those legacy artists is Allen Toussaint and the album you made with him, American Tunes, is sensational, the best album I have heard this year. Joe: Thank you for saying so. The way he sings Paul Simon’s American Tune is so touching. How did you come to match the song with the singer? Joe: After Hurricane Katrina had devastated New Orleans in 2005, I produced him and Elvis Costello together. Allen lost his home as did many great musicians and people in general in that beloved city. At some point during that tour they began to sing that song together. Allen only sang a single verse of it but it stayed in my head as it was such an evocative idea to have that whole song sung by him with all his history. We hadn’t planned to do it on the album which was largely instrumental but we had Rhiannon Giddens singing a couple of Duke Ellington tunes and I said to AT, “You know, I think we have to hear your voice. I know you have done American Tune so would you consider giving it a whirl?” Everybody in the room was tearful when it happened and you can imagine how it felt to all of us when he passed. It was supremely emotional and I didn’t think that anything else could close the record after we had it. After I played it on air, somebody said to me, “That sounds like Cat Stevens.” That was an unlikely comparison to make but I can see it. Joe: I don’t know if I would have thought of it on my own but my dear friend Hugh Laurie and his wife Jo were visiting the studio and were in the room when we cut that tune and Hugh said, “Does he sound like Cat Stevens to you?” (laughs) Nobody else has said that to me but I heard it once it was said. I can hear it in his phrasing. There is a beautiful fragility to his delivery. He was a man who was supremely aware of his mortality in that moment. I don’t know if he had any inkling of his death as he was so vibrant when we made the record, but we lost him only a few weeks after those sessions which was devastating and I had a hard time listening to that song for a while. Shine A Light is an album of train songs and you made it on a train journey. What did the other passengers make of this? Billy: This is America. It is not like British Rail where the trains are packed with people, and there’s no room and people are having to stand up. On American trains once you get west of the Mississippi, there is one passenger train a day and it is at best a third full. Nobody seemed to mind us. When the train pulled up in the larger stations, where it would stop for 20 or 30 minutes, we took the opportunity to find a space, often in the waiting room, where we could record a song but sometimes we had to record beside the train because we had to do it so quickly. Joe: I found it fascinating that for the most part the other passengers paid us no mind whatsoever. People would stop and look at the two man film crew with us or our recording engineer Ryan Freeland as he was erecting this single microphone stand which had four microphones on it. It looked like spy business. (laughs) But a couple of fellers with acoustic guitars in a rail station was not an anomaly. You say a film crew so is there going to be a TV film? Billy: It was more like trying to capture some elements of what we were doing. We have put some clips on our websites. It would be great to put it all together as a programme but really we wanted to capture some of the visuals. There is a massive cavernous waiting room in Chicago at Union Station and a tiny little waiting room in Alpine, Texas which doubled as a public toilet. What drew you to the songs? Billy: I’m a singer/songwriters of a political ilk and everything goes back to Woody. Bob Dylan went to see Woody, and Woody went to see Leadbelly. So Woody and Leadbelly are at the apex of the singer/songwriter tradition. Joe: Part of what we want to do is to take on songs that people know very well and remind them that these are still engaging pieces of work, just like a theatre company taking up King Lear because it is relevant with what is happening in the world today. This is our living vocabulary. Some years ago I produced a record for Salif Keita, the great singer from Mali. He said to me very politely, “When you talk about tradition, you are talking about what your grandfather did. When I talk about tradition, I am talking about what we do today. It is a living tradition.” I felt that he was handing me a very important message. Tradition is not antiquated and it is not trapped in amber. You open with Rock Island Line which had a new role in 1956 as it spearheaded skiffle in the UK. Billy: Yes, the whole of the skiffle movement seems to be based on train songs! The train played such an important part in American twentieth century history until after the Second World War when the Interstate was built. Until then, people were travclling on trains all the time. Even when Lonnie Donegan was recording Rock Island Line, rockabilly bands were writing and recording train songs. And Johnny Duncan did Last Train to San Fernando. Billy: Yea, yea, and that was originally a calypso song, so train songs influenced British rock through skiffle. We didn’t do Last Train to San Fernando as I didn’t want to be singing “Beedee Beedee Bombom” on the album but we have got Midnight Special and Railroad Bill as well as Rock Island Line, all skiffle favourites. And you decided not to do the narration in Rock Island Line. Billy: Well, the song was originally written by employees of the Rock Island Line in the late 20s and it was about the line between Memphis and Little Rock. It was written by an African-American quartet who were in a glee club and worked for the repair shops in Little Rock. The chorus of the song somehow got into the oral culture of Arkansas so John Lomax and Leadbelly discovered it in a prison in 1934 being sung by eight inmates. It was a call and response song then which is the way we sing it on the record. Then Leadbelly took it and he started adding that long story about the train driver. He never mentions the toll gate, Lonnie Donegan made all that up. Lonnie Donegan made up the New Orleans bit too. It is the oral tradition. It seems that everybody who transmitted that song left their fingerprints all over it. That is how it works. We decided to take it back to where it came from. Rock Island Line was a hit at the same time as Heartbreak Hotel and now you find it on rock’n’roll collections, although Lonnie hated rock’n’roll. Billy: Yes, because at the time he was a purist and against anything commercial. He and Ken Colyer thought they were doing something authentic. They thought that Elvis was cheap and nasty, and they didn’t understand the attraction of cheap and nasty music! People want to dance – that more than anything says you’ve got a hit. Once that Donegan got going, people found they could jive to Rock Island Line. Joe: About eight or nine years ago Billy was sitting at our kitchen table one night and he gave my wife and I the Great Skiffle Lesson. He drew the cosmic map for us. I came of age devoted to Leadbelly and Woody Guthrie but I did not understand how the tradition had been traded back and forth across the Atlantic. Foolish me, like every American, we think we created everything (laughs). Billy: Even in the UK, skiffle is in the dead ground between the end of the war and the arrival of Elvis. What people need to understand is it transcended a lot of the divides that there were in American music. When Donegan went to America in 1956, he released Lost John and was accused by black broadcasters of Uncle Tomming. Instead of being incredibly respectful as a lot of the American singers were, very respectful because they were whites singing black music, Donegan just loved the music and he ripped into it and he was even on the front page of Variety. He was being accused of doing blackface really, but he was being sincere and he did love the music. It was taken out of American culture to become something universal in British culture. Joe: The folk boom in America was all about authenticity and that famous Harry Smith anthology was treated like the Dead Sea Scrolls. Bob Dylan and all those in his shadow would listen to it and think that they had the keys to the kingdom. 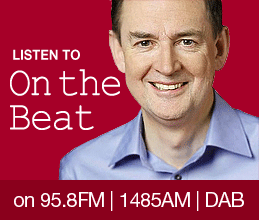 Billy: Unlike the New Lost City Ramblers who were finding a way back through those recordings, British kids were trying to break out from post-war rationing. They were saying to the politicians, “Get on with it, hurry up, let’s get into the 60s.” The guitar represented a bridge to the future. Donegan used to say “All roads lead to Lon”, which sounds arrogant but it was true. A lot of these old recordings like the Harry Smith anthology weren’t available here. Billy: Yea, the only way you could hear those things in Britain was in the American Embassy in Grosvenor Square where they had all the Library of Congress recordings. You had to go in there and write a little note to say you had borrowed it. Lonnie Donegan would take them out and keep them. Joe: So he was a record thief! Several songs on Shine A Light are about hoboes. Do you see any on the trains now? Billy: You see the dispossessed. Joe: Yes, you have to decide where that line is drawn. The song Hobo’s Lullaby that we do has a particularly beautiful melody but what is very touching about the song is that it recognises the humanity and the dignity of people who are very marginalised. It is so easy to call someone a hobo and it is like being invisible to the public. You have to offer recognition, that we see you, that you matter and that we know you are living through something devastating. Those songs were often written in demoralising times. You have also have Gentle On My Mind and Early Morning Rain on there and I had to think about them being train songs. Joe: We both wanted to have some material that was written during our lifetime. We hadn’t even discussed doing Gentle On My Mind. We had left Chicago and recorded in St Louis and we were sitting in an empty room in our sleeper car. Bill played something that brought Gentle On My Mind to my mind and it was one of the first records I bought as a kid. It was the second 45 that I bought with my own money in 1968. As we sat and played it, we realised that this character is walking the trainlines. He is sleeping in the hobo jungle and he is having this reverie. We realised that we could do it. It opened the fence a little bit but it did not depart from the concept. Billy: We needed something to close the record with and Early Morning Rain seemed perfect as it is about the train being superseded by the plane. That’s what did it for the railroads really, so it is the end of the railroads as well as the end of the hoboes. You are doing a UK tour in November including a couple of dates at Union Chapel. Are you doing the whole show together? Billy: Yes but we will do some solo songs. We have worked out that to play the album with some explanation takes about 75 minutes and then we will have some solo songs and some non-railroad songs that we can sing together. We have a shared fandom of certain singer/songwriters and so we will do a few of theirs too. What about new songs? There’s plenty to write about today. Billy: It is really tough, Spencer, as you can write a song one day and it can be superseded before you can get it out. I did an interview just after the EU Referendum with a website, and they posted it 12 hours later and the first two paragraphs were already out of date. You can’t write topical songs at the moment as you’d have to screw them up and start again the next day. Maybe when things calm down a bit, I can get a bit reflective and the songs will come out then. And we still have to wait until November for the American election. You don’t think Trump can win, do you? Joe: No, I have more faith in the American people than that, I don’t know why I have it. I had never imagined him getting this far but there are any number of scenarios that can derail this. There are not enough American people who are supporting him and the ones who are have a sense of disenfranchisement and they are very loud about it. Billy: But as I keep telling Joe, Brexit is a warning. None of us thought that was going to happen. You can’t be complacent and think, “People will never be that foolish” because they can be. When Jeremy Corbyn said he was 75% in favour of the European Union, he was being honest and he spoke for a lot of us who were going to vote Remain, yet he has been castigated for his honesty. I don’t understand that. People said they didn’t want spin anymore and Jeremy is certainly that guy. Jeremy is doing his best under very, very difficult circumstances with very heavy headwinds and I will keep on doing all I can to help him. 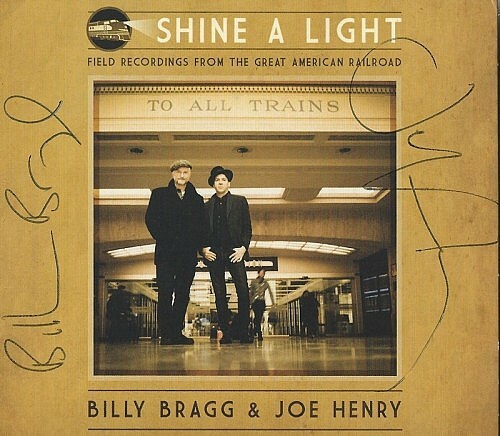 Billy Bragg, Joe Henry, thank you very much. Billy: Thank you, Spencer, now where’s Platform 6?